Bid Structural Steel Online provides Microsoft Excel spreadsheets for estimating structural steel erection and other steel-related construction work activities. The Excel workbooks also contain built-in formulas for estimating steel decking and siding installation, rebar placement, pre-engineered building assembly, and pricing contract change orders. In this article, we covered its available pricing options. Ready to try Bid Structural Steel Online? Get a free trial. As of the date this article was written (12/04/18), there are no recent user reviews of Bid Structural Steel Online online. If you are a past or current Bid Structural Steel Online customer, leave a review to help other small business owners who are deciding whether or not to use the company. 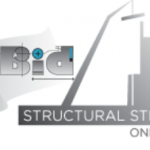 Bid Structural Steel Online offers 12 paid versions with prices ranging from $74 to $249 (one-time fee). The main differences between the packages are the number and types of built-in formulas for cost estimation included. Functionality will vary according to the parameters described for each version. Paid versions don’t have an expiration date. Ready to try Bid Structural Steel Online? Get a free trial. 6 Best Construction Accounting Software for 2018 — Construction accounting software must have the ability to track, manage and report income and expenses for all of your jobs. Having the ability to keep track of subcontractors and meet the reporting requirements for both unions and certified payroll are also important factors. We looked at eight products and narrowed it down to our top six. How do Bid Structural Steel Online spreadsheets work? The take-off spreadsheets (in a single workbook) self-generate a bid proposal, a scope letter, a daily man/hrs log unique to each project. They can function as an Earned Value Management System by calculating values as earned and man/hrs earned. The worksheets reflect work-specific unit prices, work activity durations, man/hr and equipment cost totals, and then generate an accurate schedule of values. What are the technical requirements to use Bid Structural Steel Online? Bid Structural Steel Online is an Excel-based program so it has the same system requirements as Microsoft Office: Windows 10, Windows 8.1, Windows 8, Windows 7 Service Pack 1, Windows 10 Server, Windows Server 2012 R2, Windows Server 2012, or Windows Server 2008 R2. For the best experience, the latest version of any operating system is recommended. Not sure if Bid Structural Steel Online is the right fit for you? 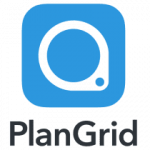 Read our reviews of all top construction management software or check out one of these three Bid Structural Steel Online alternatives.